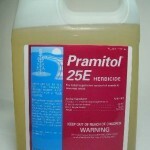 PRODUCT DESCRIPTION: Low odor herbicide which works on both plants which are growing or those which are still seeds. Total kill and soil sterilent which means that where ever you spray it you can both kill anything growing as well as prevent anything from being able to grow. Mixed with water, applications will normally last 3-6 months. 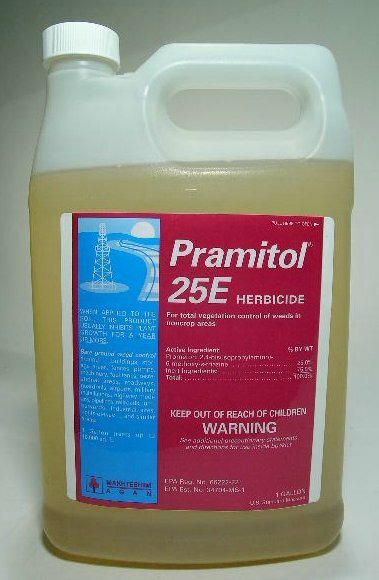 WHERE TO USE IT: As a soil sterilent, this product is used just about anywhere someone wants to stop plants from growing. Common applications include on driveways, along fence rows, parking lots, mulch islands, pine islands, and under pools where pool liners will be laid. RATE OF APPLICATION: Use at full strength for maximum protection that will last the longest and insure nothing can grow. This rate is 14 oz of concentrate per gallon of water to be dispersed over 500 sq/ft.